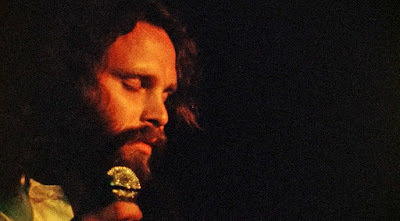 The Doors are streaming a performance of “Break On Through (To The Other Side)” from “Live At The Isle Of Wight Festival 1970” ahead of the set’s release via multiple formats on February 23. The tune was the lead single issued by the Los Angeles band from their self-titled 1967 debut, which hit No. 2 on the US Billboard 200 on its way to worldwide sales of more than 20 million copies. Directed by Murray Lerner, “Live At The Isle Of Wight Festival 1970” captures the historic last concert ever filmed of The Doors, whose August 29 performance was featured alongside sets by The Who, ELP, Sly & The Family Stone, Ten Years After and Joni Mitchell, among others. The DVD also includes with the bonus featurette “This Is The End”, which presents 17 minutes of interviews conducted by Lerner with guitarist Robbie Krieger, drummer John Densmore and original Doors manager Bill Siddons, and adds archival footage with Manzarek from 2002. “Live At The Isle Of Wight Festival 1970” will be available on DVD+CD, Blu-ray+CD and digital video.